Home Domestic News Championship Championship predictor: What will final 2017-18 table look like? Maybe this will finally be your club’s time to reach the top flight? The year your team “do a Huddersfield” by defying all pre-season predictions to win promotion? We may be opening ourselves up to criticism from fans, players and managers of several clubs by doing this, but we have decided to try it ourselves. Remember – it is just a bit of fun! Sunderland’s range was even more extreme, from first to 21st, with 16 placing the Black Cats between seventh and 12th in the final table. Nine thought Bolton would be relegated, while 18 predicted that play-off winners Millwall’s stay in the second tier would last only one season. Only four of our 25 journalists predicted Burton would survive, while eight thought the Brewers would finish bottom of the table – the most of any club. 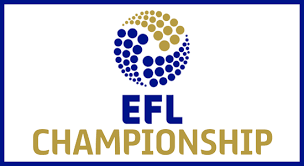 Eight teams – Burton (21), Millwall (18), Bolton (nine), Ipswich (eight), Barnsley (seven), Nottingham Forest, Preston and QPR (three) – had at least three votes to be relegated in 2017-18.